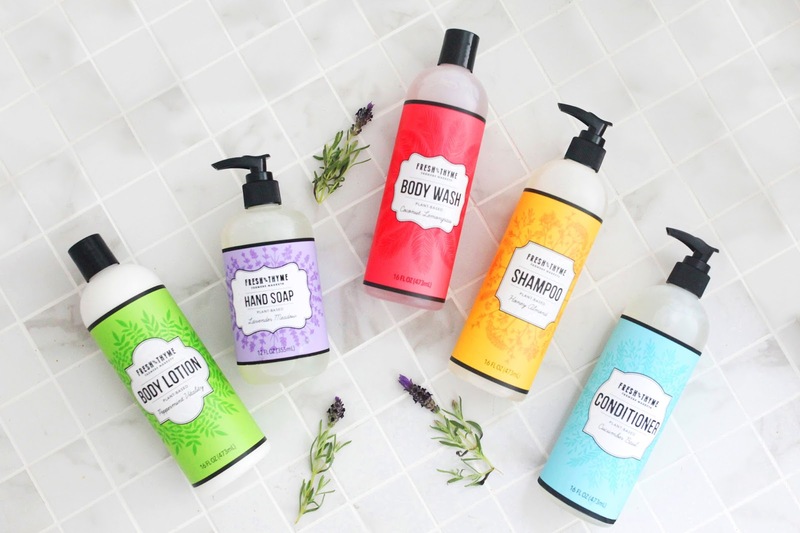 As part of the 900+ SKU private label program, Fresh Thyme asked us to create a design for a new range of body care products. This range is made from plant-based ingredients and follows the same ‘free from’ artificial ingredient policy as their food products. 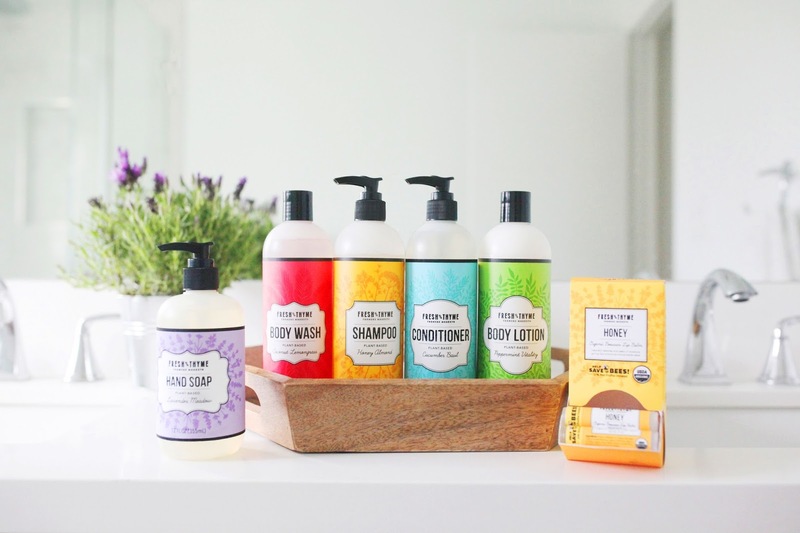 The new non-food range includes shampoo, conditioner, body wash, body lotion, hand soap and lip balm, in a variety of enticing scents and flavors. 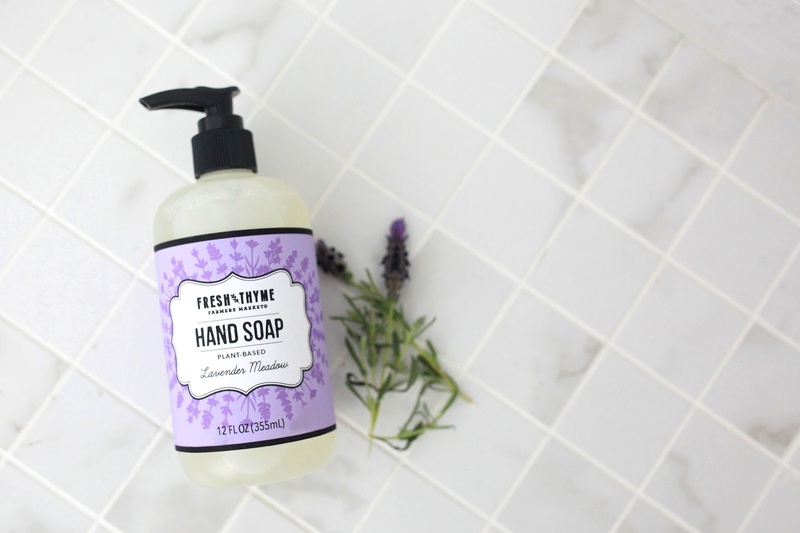 The process began with determining how to translate the existing Fresh Thyme design into a body care range. 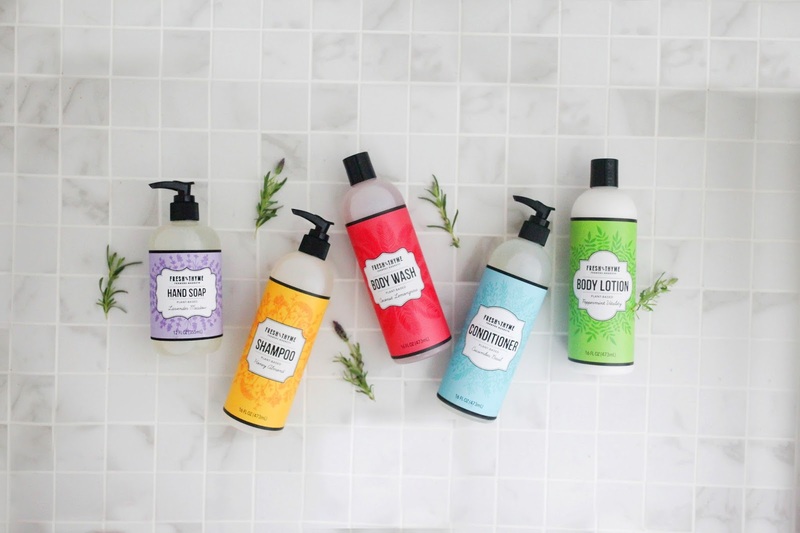 We asked ourselves, “What design components should remain the same and what should be changed or added to enhance this line?” In 2016, we were able to successfully create a range that merchandises well on shelf and lends itself to the health & beauty category, all while keeping the essence of the Fresh Thyme brand in tact. The sub-brand we’ve created breaks away from the current Fresh Thyme branding in a few different ways. One major design shift is the development of the Fresh Thyme logo. The logo was altered to fit a more sophisticated design. First, it was simplified to one color - black. Next, the border was dropped, leaving just the Fresh Thyme Farmers Market text. Finally, the iconic tractor was replaced with a leaf illustration to communicate the use of plant-based ingredients. A vibrant color scheme and a new elegant typeface are introduced to help differentiate the many scents and flavors. 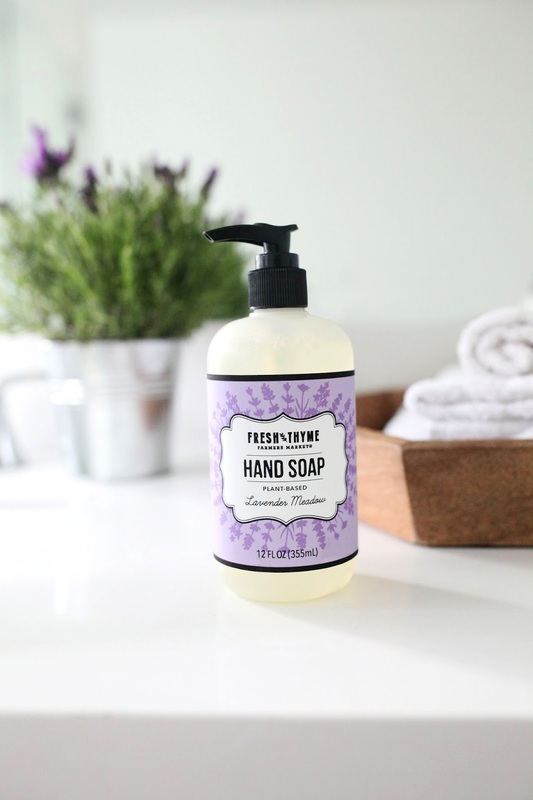 Scents include Honey Almond, Coconut Lemongrass, Cucumber Basil, Lavender Meadow, and Peppermint Vitality. Lip balm flavors include Honey, Coconut Lime, Blackberry, Lemon Vanilla, and Mint Vanilla. To offset the colorful packaging, a white text box with black trim sits centered on pack. The shape of the text box changes per product type to increase shop-ability. Behind the text box sits a plant or floral illustration that corresponds with the product’s ingredients. Each illustrative motif is designed to symmetrically frame each text box. Together these elements create a clear focal point around the product title. 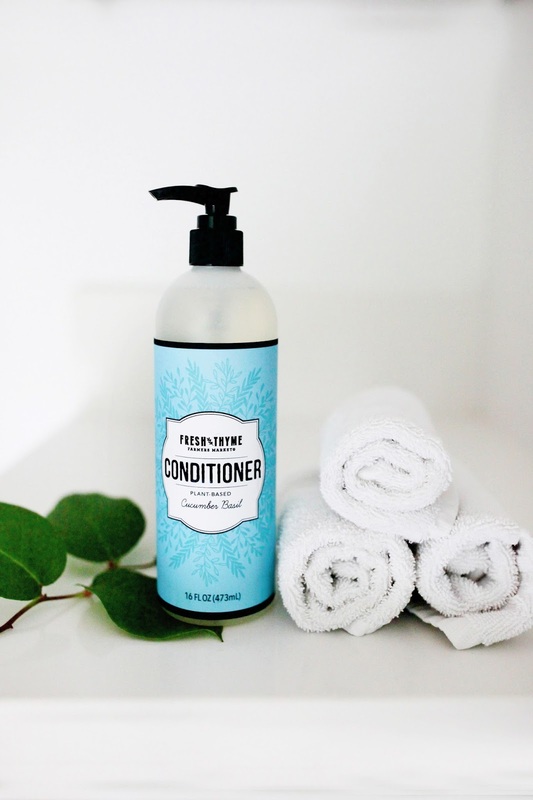 Fresh Thyme’s body care sub-brand is like the sophisticated older sister of the non-food category. 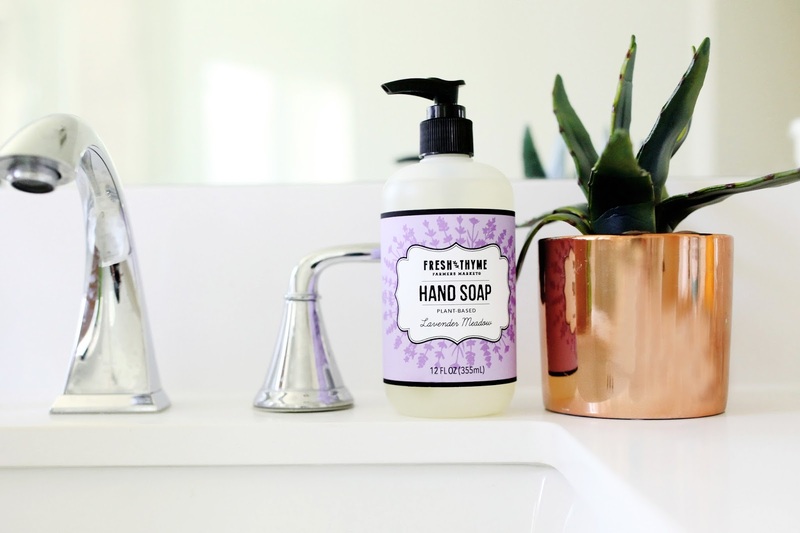 The design is reminiscent of the Fresh Thyme’s core private label design, with a similar structure and strength, but a personality all it’s own. The design is bold, feminine, gentle, honest, and refreshing. Overall, the award-winning design creates the emotion a brand needs to connect with consumers and the longevity to stay relevant in a world full of shifting trends. This design has already won a Vertex Gold Award, GDUSA(Graphic Design USA) Packaging Award (Lip Balm), AGDA (American Graphic Design & Advertising) 31 Award (Lip Balm) for its innovation and originality.